Situated on 3 acres and conveniently located just off I-675 at I-70, Ohio Barn features a 2400 sq. ft. historic barn with large entrance deck and the B&B boasts two spacious guest rooms, private baths and entrances and a large Gathering Room, where your breakfast is served. The friendly staff is dedicated to making every guest happy. Whether in the Fairborn area for business or pleasure, stay at the Wright Patterson Inn, where customer service still means everything. 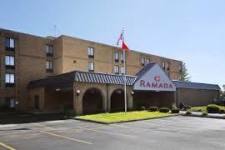 Our Ramada Xenia hotel near Greene County-Lewis A. Jackson Regional Airport is located in downtown Xenia. We offer easy access to Route 35 to Dayton. 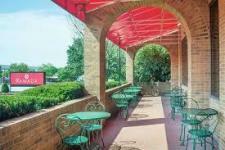 Free continental breakfast every morning in our restaurant on-site. 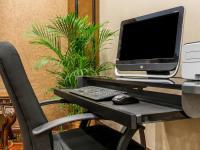 Enjoy use of free Wi-Fi Internet, our sunny outdoor pool, exercise room and meeting facilities. 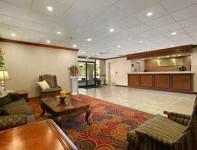 Rooms feature microwaves and refrigerators, and free parking is available for any size vehicle. Handicapped-accessible and non-smoking rooms are available at our pet-friendly hotel. 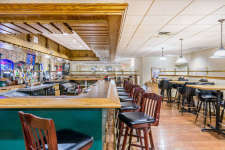 Breakfast: Stop in at our restaurant and lounge on-site for a casual bite to eat at your convenience. 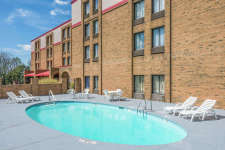 Offering free WiFi and a flat screen TV in all guestrooms, this 100% Smoke-Free hotel is the closest Red Roof to Wright-Patterson Air Force Base, the U.S. Air Force Museum, the Ervin J. Nutter Center and Wright State University. 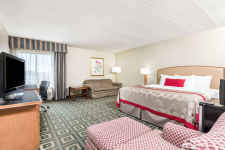 When you check in, check out the fantastic new amenities in our newly renovated rooms! 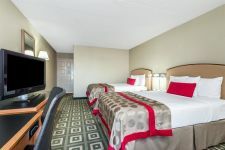 The rooms feature new, comfy Rest Suite beds by Serta and a large, flat-screen TV. Free coffee and tea available in the lobby. At the Beavercreek Residence Inn by Marriott, we have perfected the extended-stay experience by combining all of the comforts of home with our passion for making every guest feel welcome. 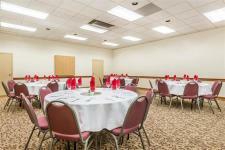 With our Newly Remodeled Lobby and Dinning Area, you can enjoy our complimentary Hot breakfast buffet every morning and our Managers Reception Mon-Wed evenings. Whether you are here for business or pleasure, short or long term, our 100 smartly designed and smoke free spacious suites with fully equipped kitchens provide you the space to work, live and relax. When you’re finished unpacking, explore more than 50 shops and dining establishments within walking distance of our hotel. 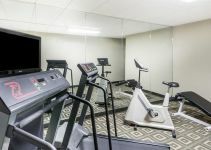 To work out the days stresses, enjoy our heated indoor pool and spa as well as our newly remodeled fitness room open 24 hours a day! We are located within minutes of Wright Patterson AFB, The Ervin J. Nutter Center, Wright State University, the Soin Medical Center and The National Center for Medical Readiness- Calamityville.